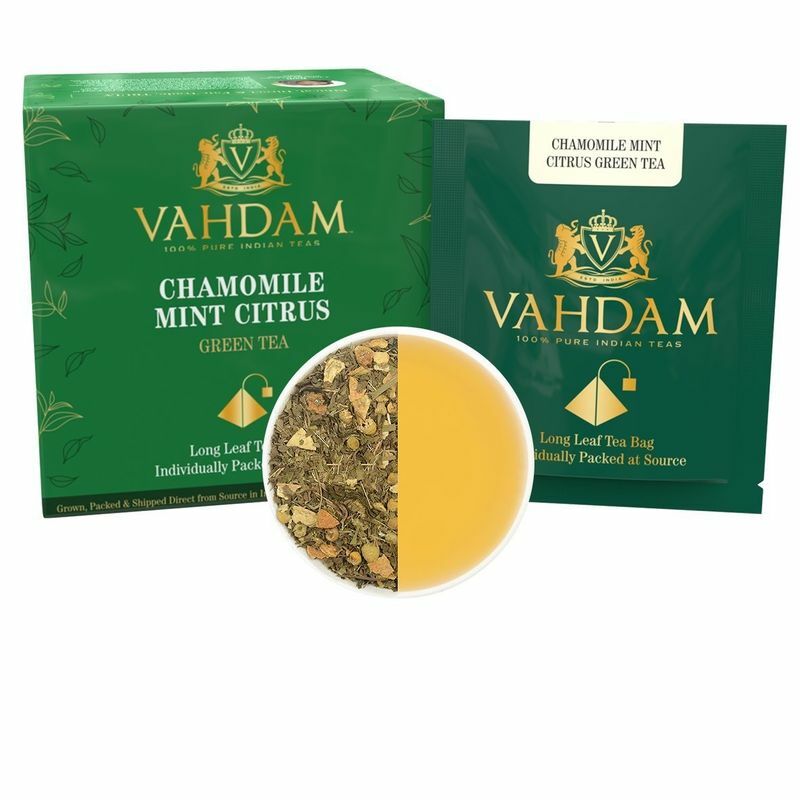 An expertly curated green tea with soothing hints of chamomile, delicious undertones of mint & zesty orange in every sip. It is smooth, calming & rejuvenating. Add sweetener as per taste. Can be served hot or as an iced tea. Handcrafted to perfection keeping in mind the connoisseurs who are constantly looking for healthier alternatives - this blend of chamomile, mint and green tea offers the perfect balance of relaxation and rejuvenation. This aromatic blend is a winner all the way with its floral and citrus-y notes. The summer flush green teas picked from the Himalayan tea gardens complement the contrast of chamomile and mint and spark a Springtime-like freshness in the palate. 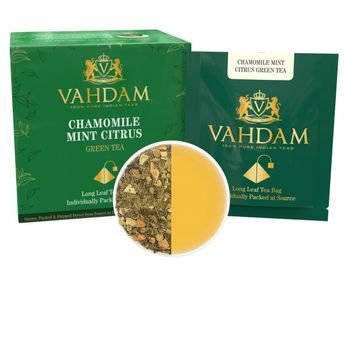 The green tea helps detoxify your body, chamomile offers a restful calm to the senses while the mint awakens the mind. Relish this cup at anytime of the day, either by itself or with a light snack.